The National Ready Mixed Concrete Association, Grey Matters Consultancy along with other sponsors hosted the 2014 International Concrete Technology Forum, November 18, in Dubai. The International Concrete Technology Forum provided learning and networking opportunities on the latest advances, technical knowledge, continuing research, tools and solutions for concrete manufacturing, design and construction. The conference will took place at the Dubai World Trade Center, at the Middle East Concrete Exhibition during The Big 5 Show, November 17-20, 2014. 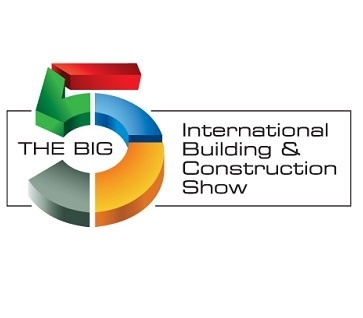 The Big 5 is the largest construction exhibition in the Middle East, serving as a networking platform for construction product suppliers and buyers since 1979. 2013 was a record breaking year, delivering 2,747 exhibitors from 58 countries, 74,854 participants from 124 countries and 148 educational events (www.TheBig5.ae). Researchers, academics, students, engineers, architects, contractors, concrete producers, public works officials, material suppliers and concrete industry professionals were invited to attend. Attendees of the 2014 International Concrete Technology Forum were eligible to receive up to 6 professional development hours (PDH’s), depending on the number of sessions attended.